As our nation and world travail in the midst of political, economic, and cultural uncertainties, we can find comfort in the hope that comes from the unchanging truth of God's Word. Whether talking with a US president, a world leader, or the common man or being interviewed on network television, Billy Graham has always begun his answers with "The Bible says... "
The greatest promise ever given to the human race came from the lips of our Redeemer when Jesus said, "Let not your heart be troubled; you believe in God, believe also in Me... I go to prepare a place for you... I will come again and receive you to Myself; that where I am, there you may be also" (John 14:1-3). 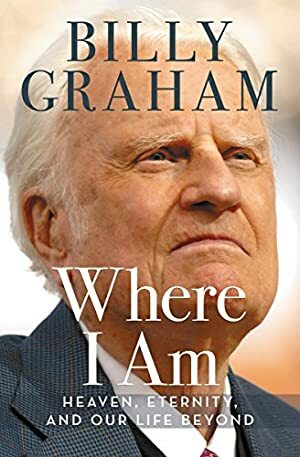 Just after his ninety-fifth birthday, Mr. Graham proclaimed with resolve, "When I die, tell others that I've gone to my Lord and Savior Jesus Christ -- that's where I am." Log In to track Billy Graham on eReaderIQ. to be notified each time the price drops on any book by Billy Graham. to stop tracking Billy Graham. Log In to track Franklin Graham on eReaderIQ. to be notified each time the price drops on any book by Franklin Graham. to stop tracking Franklin Graham. The price of this book has changed 41 times in the past 1,397 days.